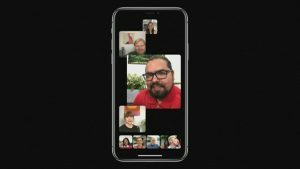 CUPERTINO, Calif. (NBC) – The Group Facetime feature will be returning to Apple devices next week. Apple announced Friday that it has fixed the Facetime bug that allowed users to eavesdrop through someone else’s iPhone, even if they had not answered a call. In a statement, Apple says it has fixed the Group Facetime security bug and will issue a software update to re-enable the feature for users next week. The company also issued an apology to customers who were affected by the issue. Apple temporarily disabled the Group Facetime app after users discovered the bug earlier this week.